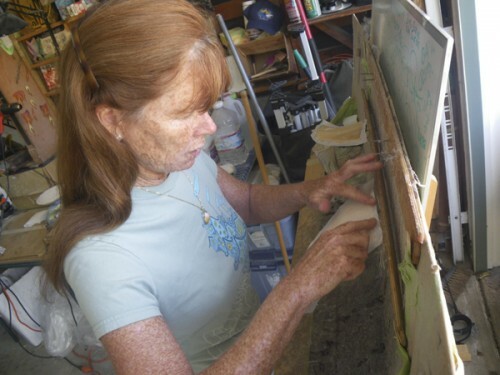 Several visual memories inspired the painting: The water flowing along through the reef where we live, when the water pulls out before the next wave, the eel grass on the reef, and the California gold of the cliffs and beach sand. 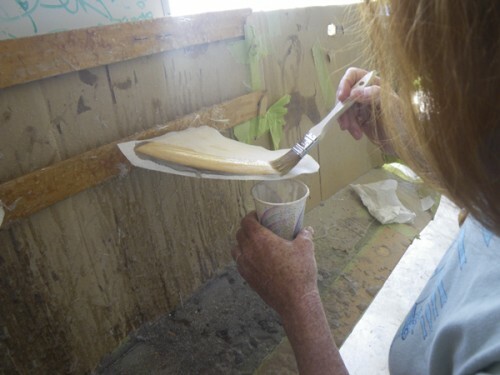 Cher painted the board with acrylic paint directly on the foam, using big brushes and a large sponge. 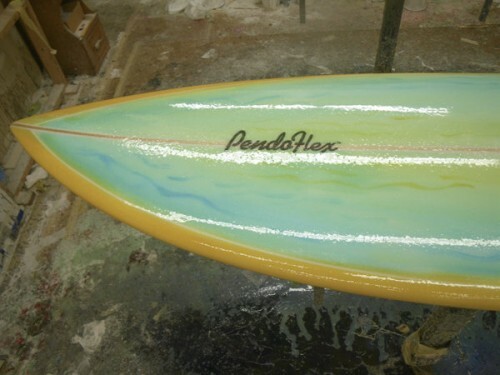 After painting, the next task was to laminate and hotcoat the new board, make the fins, glass the fins on and sand the board. ‘So excited and grateful to be able to build my own board again, start to finish. Thanks Steve, for your encouragement, and for sharing this wonderful experience with me. So stoked to ride it soon! The new board is hotcoated! 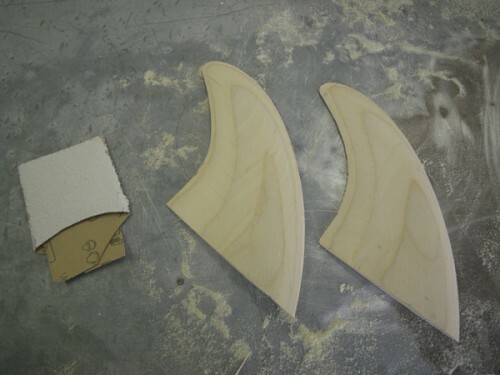 The birch fins have nice beads, Whooo-ti-hoooo! 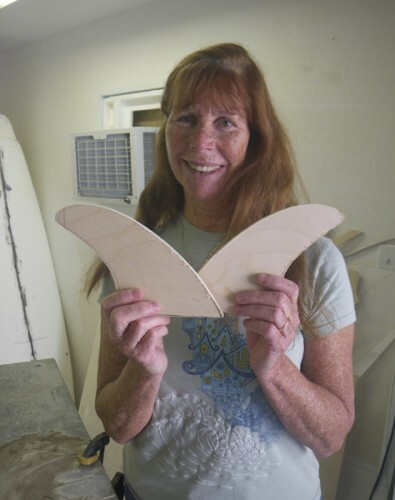 9 Comments on "Completing the 6′7 high aspect fish, glassing and making fins"
Cher, thats a great board! 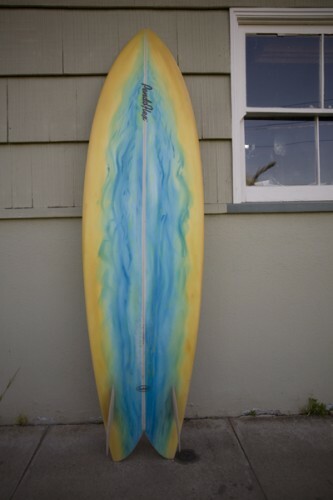 Cher… awesome board, very beautiful. Great photos! Hello, Bruce, thank you for your kind comment! Can’t wait to ride it. Sending you and your family lots of Aloha! 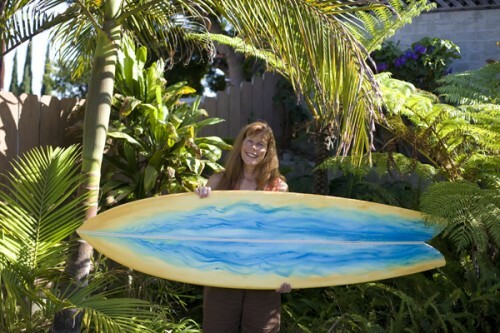 Hi, Dale, thanks for visiting our website and for your very kind words about my new board and the photos. Steve has a great eye and took the photos of me working. 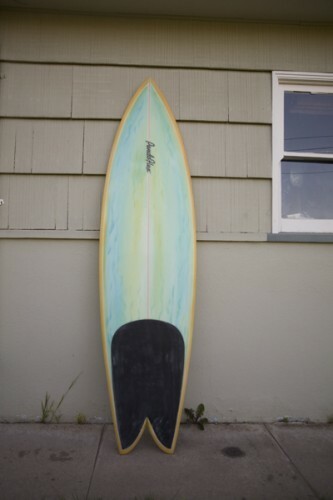 We’re looking forward to riding the new board when the surf cleans up. Have a great day. Cowa-flexit! hi cher, i love the photos/words of your board building. i have always wanted to do that. so nice to stumble on this site. think of you guys all the time. would like to see some of the balsas some time. Hi, Jenifer, it’s so nice to hear from you. Thanks for visiting our site and for your kind comments. We would love to see you when you come to SD. It’s been a long time, we think of you guys often, too! Beautiful indeed. Thanks for the step-by-step report. Dale: I’ve been racking up tons of miles and smiles lately on the (what is it now? 7-, 8-year-old?) Neumatic. Built to last. Thanks again. Hey Festus, thanks for taking a look at the new board building and for your kind words. 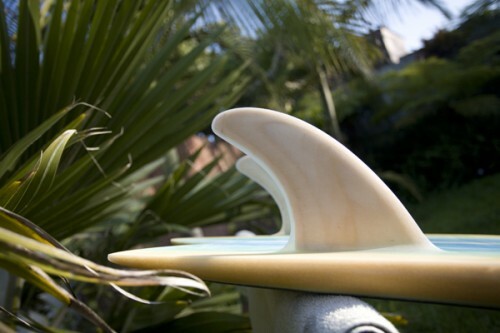 Looking forward to seeing you surfing, soon. Dale: Steve and I have seen the Festus flying on the Nuematic. . . hoo-ti-hoo! Cowa-flexit! I really enjoyed this photo sequence, thanks for sharing!